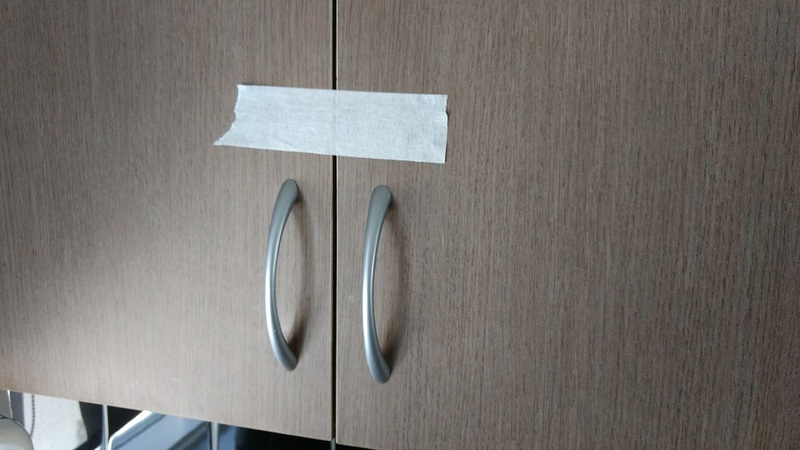 When you've emptied a cupboard, put masking tape across it, ideally in a colour that's highly visible. This way you immediately see know which ones are finished and which ones still need attention. You won't keep opening the cupboard a million times to check and after the move it takes merely seconds to undo.